No luau party is complete without a Hula Skirt. These skirts have elastic bands to fit a wide range of waist sizes. Artificial polyester flowers decorate the waistband for a tropical look. 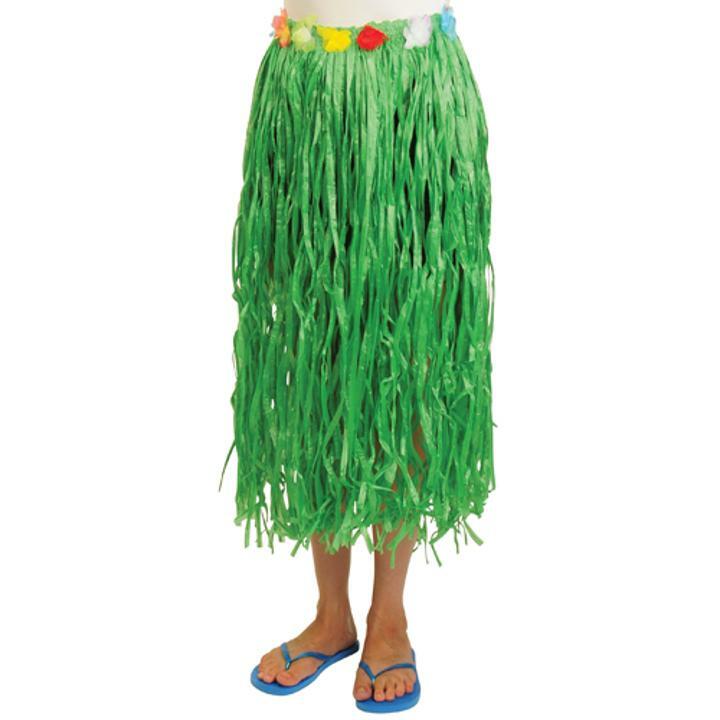 Adult party guests will love wearing these green luau skirts at your next Hawaiian event. Trying to find the right theme for your next party? Try a Luau! This is our most popular, and most requested party theme. With a wide selection of tropical themed party favor and costume accessories you can make your Hawaiian beach party a night or day to remember. L: 6.0 in. W: 1.63 in. H: 33.0 in.